Suicune Stampin' GA - reminder! Hi, everyone! 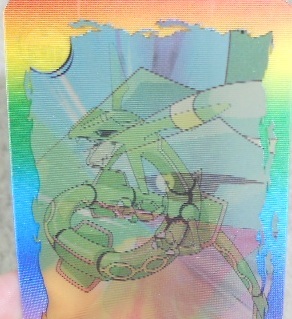 This is just a quick reminder that the Suicune Stampin' GA has just under 48 hours left! A few stamps are still at their starting bids. Remember that bidding less than 5 minutes before the end of the auction extends the auction time for another 5 minutes. The auction ends at October 16 12:10 am EST. Countdown timer here. Send your payment to erickdelgado13@hotmail.com. Once you have sent the money, leave a comment saying you have! Thank you everyone for your help :D! Now, I'm going to go to bed. 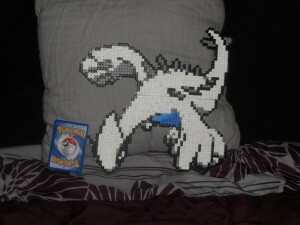 So, I've decided to start collecting Cheren items and Unown items. Problem is, I have no idea where to start! What is even available for Cheren and Unown? 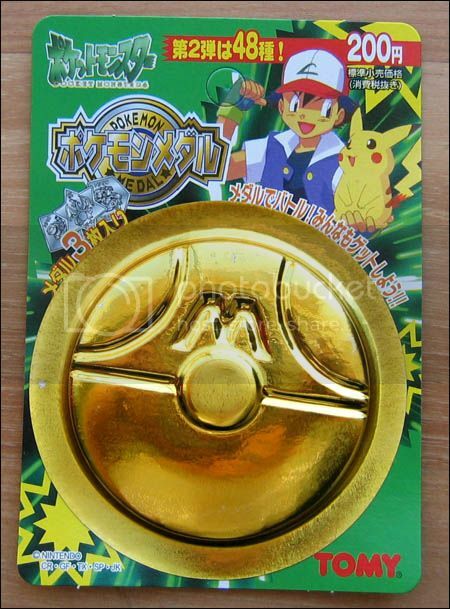 I did a quick eBay/Y!J/Pokevault search and came up with a few items like the dot sprite and Pokemon mate campaigns for Cheren, and a charm and figure for Unown, but what else is out there? 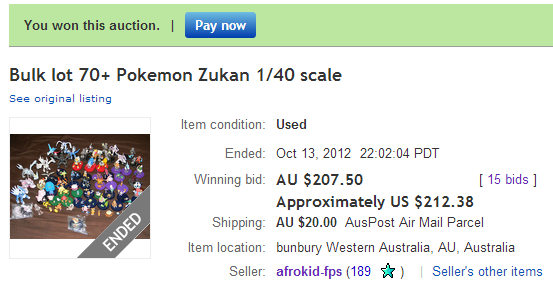 I've got one zukan of A-G Unown coming, so I would assume there are all 28 in Zukan form? Are there charms for every type of Unown? Are there any other items for Cheren other than the dot sprite and Pokemon mate items? Also, what kind of dot sprite items came out for Cheren? I followed Pokemon mate pretty closely for the Submas before, so I think I know all of what came out in regards to that for Cheren. Hello everyone! Today and yesterday were exciting days since I have just done it. I have finally completed my applause collection after finding the final piece to my collection <3 MIP too! EDIT: 11/3/12: stock updated with what's sold, added medallions for sale. I was grandfathered into sales permission with the start of the community. TO ORDER: Comment with items wanted and your shipping location. I'll give you a total asap, payment is due within 24 hours of receiving a total. I'm shipping items out next week probably Tuesday! Thanks for lookin'! -Each stamp is $5 before fees and shipping! 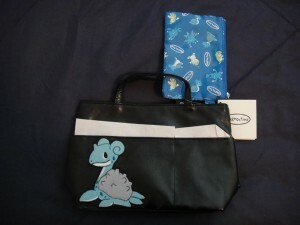 -I ship from the US (53589) and will ship internationally. -There will be TWO payments. First payment will be your item(s) plus shipping to me, second payment will be shipping from me to you. -Pay with in 48 hours once the totals are up! -I will be claiming 30, 42, and 47. 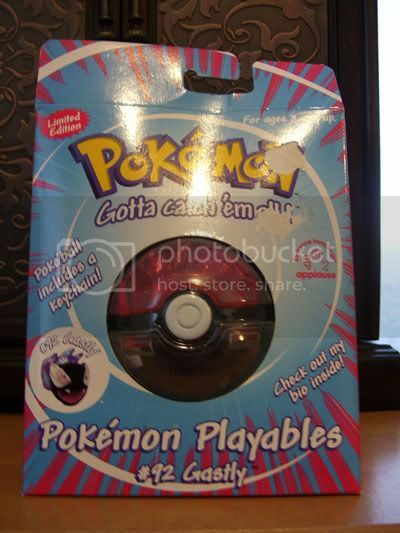 What's your favorite type of pokemon merch? So, for some reason, even though I already have at least one plush of each of these three Pokemon, I decided I needed one more of each. However, I am looking for specific kinds, so I was wondering if you guys could help! I would like to get a "matching set." By that, I mean I am looking to find all three of them from the same brand/set (for example, all Canvas plush, or all UFO plush). But, I only want sets that came out in 1999 or earlier. I am not looking for Play-by-Play ones, though. I have been a member here for over a year but I haven't made a post in a LOOOONG time so I will start off with an introduction. My name is Lyndsay and I am 20, will be 21 in December! (WOOT!) 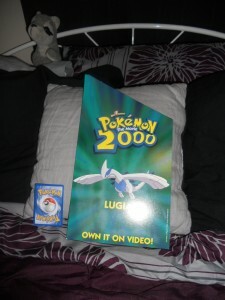 I have loved Pokemon all the way back when it first started in the US! 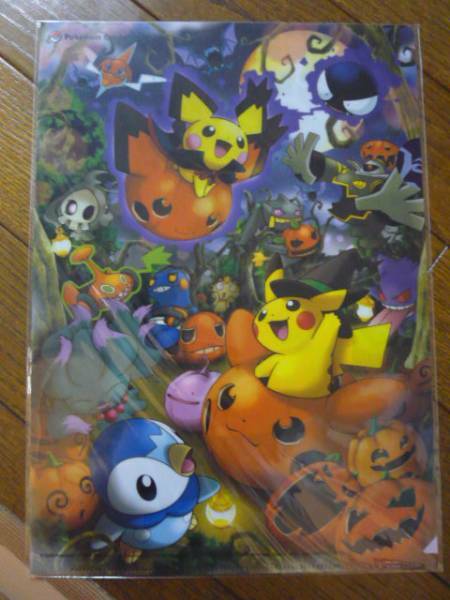 Pokemon pumpkins, and deciding on some grails. Haha, I snagged this picture yesterday. 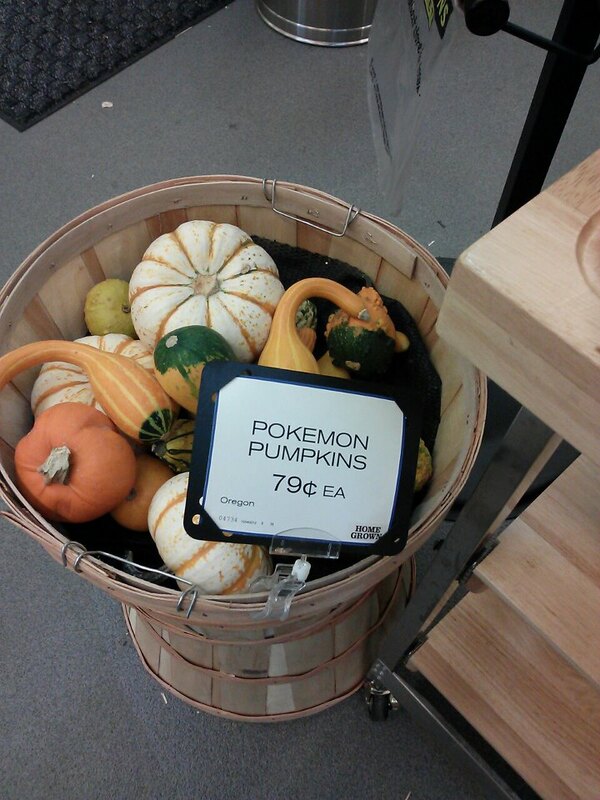 Pokemon Pumpkins? Either these have been a thing for a while and I live under a rock, ooooor I have the coolest grocery store ever. 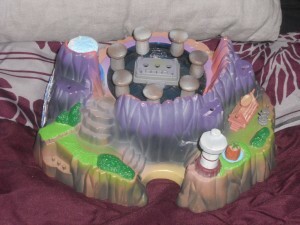 And recently I've decided I want to work towards getting something amazing, so I've decided to come up with some grails. I have a feeling I'm going to have a lot of grails though in the future. I'm still not sure what's rare and what's not, and as I quest for a plush of every single pokemon, I have a feeling some will be nearly impossible to get my paws on. Please help me get rid of some of this stuff. I will accept haggles on everything but the Felt Friends since I made them and put hours into them. Click on the images to go to my sale and best offer pages. Pre Made Custom Plushies for Sale? Just asking to see is anyone has an custom made plushies for sale. If anyone out there does, please leave a picture of the plush, and a price and I'll get back to you. I also may not be able to afford the plush right now, but leave me an offer any ways. A Long-Overdue Pokedoll Collection Update! I have had quite a long break from Livejournal lately (but not from collecting) - and I have decided that it's time for me to come back ^_^ I hope that some people still remember me! 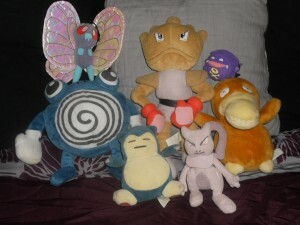 <3 For those who don't know me, I collect Pokedolls! The release of Black and White 2 has led to the release of lots of cute new Pokedolls and merch! I have quite a few new things that I have added to my collection! Please look under the cut to see! At the moment, the directory only contains information about normal release dolls. tags and fabric - I'm now working to add DX, Oversize and Mini dolls too - I hope that people will find it useful! Minun? TOMY Coin Live Opening in an Hour! 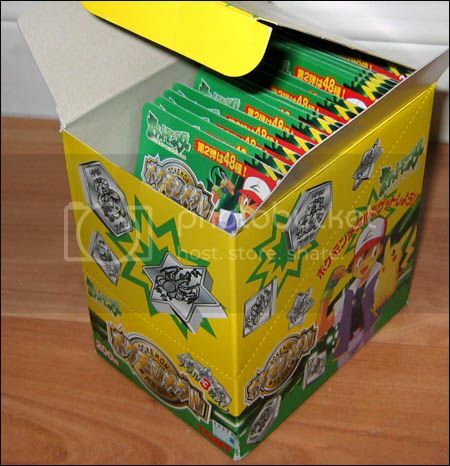 Hi guys, In just over an hour, I'll be doing a live opening of 90 TOMY Japanese Coins! The link for the stream is here: www.ustream.tv/channel/pkmncollectors-live-opening which is at the moment aimed at my aquarium with the sound off because I'm eating my dinner in a moment. If you want to hop in and start chatting I'll be there soonish, but I won't start opening until 7pm UK time (or I have one viewer that isn't me). You'll have to excuse my voice today - I have a cold and I'm all stuffed ub in by head. :'( Also terribly British. I'll post pictures of the coins when I can in the comments here, and they will go on auction tomorrow. Thanks to everyone who turned up, it was really fun to open them and count the stacks! I am sorry you had to put up with my coughing. I'll post pics and totals below shortly. If you would like an empty packaging or the boxes (all mint) kept for you please let me know or I'll just throw them out in the recycling next week. 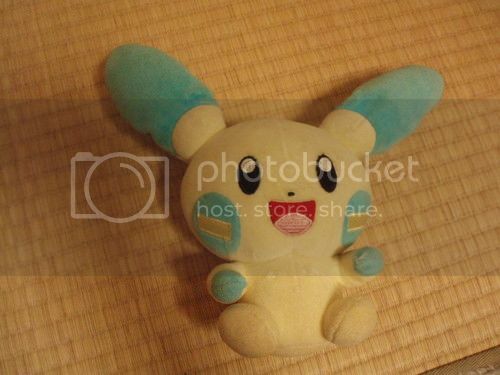 Anyone know what this 9" Minun is? The hands should be sewn on the chest. He's a sort of ribbed velour. Tush tag is cut, sadly. 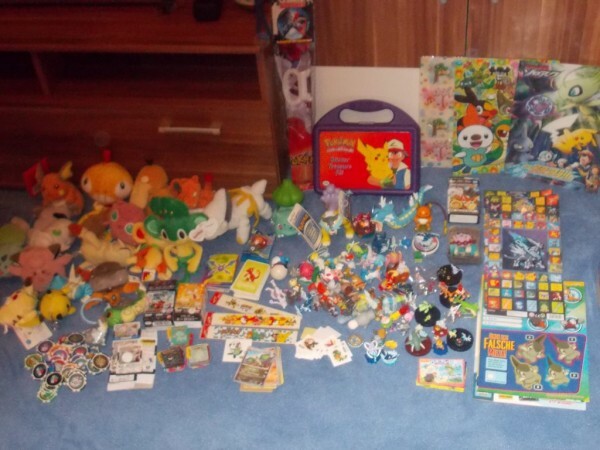 So I think I'm pretty much satisfied with my Pokemon Collection. I still buy things here and there, but not nearly as much as I used to! So now, I'm just trying to clear out the things I know I want to sell. 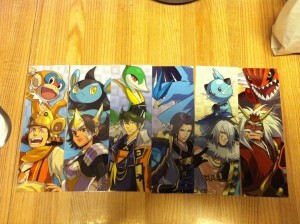 Eventually I may be selling my small Glaceon collection. A quick question to everyone who regularly sends out packages. Where do you get your packaging supplies? eg: bubble wrap, boxes, styrofoam, packing peanuts, toploaders, carboard, etc. I know that it is cheaper to buy these items in bulk, but where do you guys source these things? online? in shops? Also, for those people who have a postal weighing scale, what brand / model do you recommend? Finally, unrelated to packaging, but... what fabric are the MPC plushes made out of? minky? Thanks in advance for your help! +Can places such as Gamestop Target etc. deny you of getting the display after the game has been released for a reasonable time? If so, what sort of policies should I ask for/about so that I know in the future? If they can't deny you what's the best way to re-approach obtaining a display? +What are some ways that you've gotten said store displays? I.e. friend, you worked their etc.? +Is it bad manners to try and "buy" the display and/or politely petition the assistant manager/store manager to have the display? What would be the right way to go about it, if it isn't in poor taste?? Let's try another one - New Nasija GA! 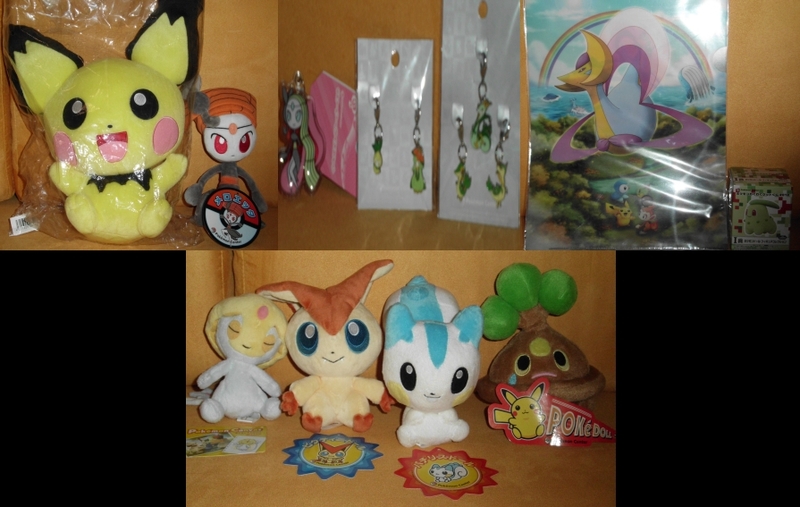 This GA has some really rare and neat stuff, like Pokemon pins and so on! Friendly Neighborhood Spinarak Wants +Collection site! I know, I know it's getting old by now, but Halloween's steadily approaching and I still want something special as a decoration! If anyone is interested, I also lowered my sales prices to the point that lowering them any more is not an option, so make sure to check out for some pretty cheap prices!